I did this painting for Laura Huemer and gave it to her for Christmas last year. 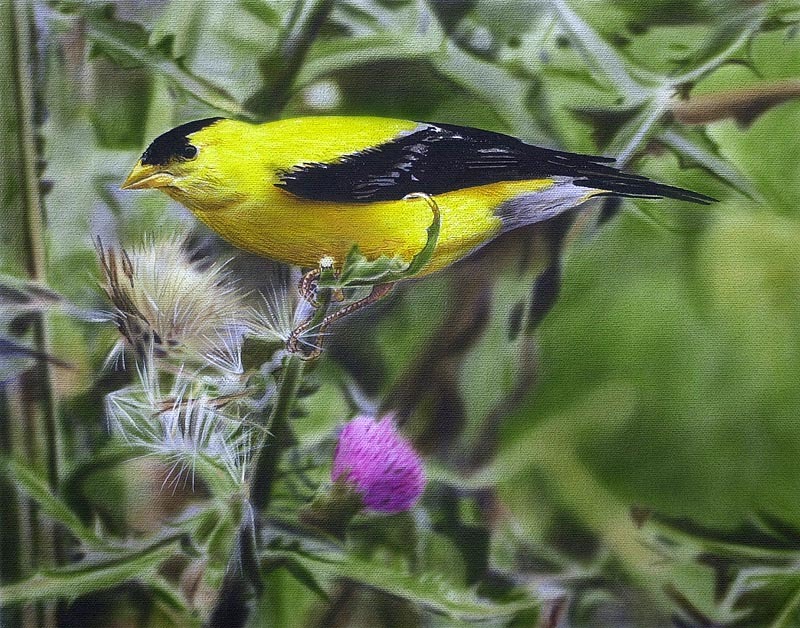 She owns a really cool bookstore called Goldfinch Books in Maplewood, NJ, and I thought she might like a painting of our state bird. For more about the store click here.